In a perfect world, the hardware experts at PC Gamer would accompany you on a shopping trip to pick up your next graphics card. We’d happily share our experience and tell you what to watch out for, what to avoid, and what you need from a GPU to squeeze the highest number of frames per second out of your gaming rig. Then again, would you really want to spend an afternoon with our posse of hardware-obsessed game addicts? The good news is you can receive the same benefit by reading our new buyer’s guide below. When you’re done, you don’t even have to shake our clammy, mouse-worn hands. 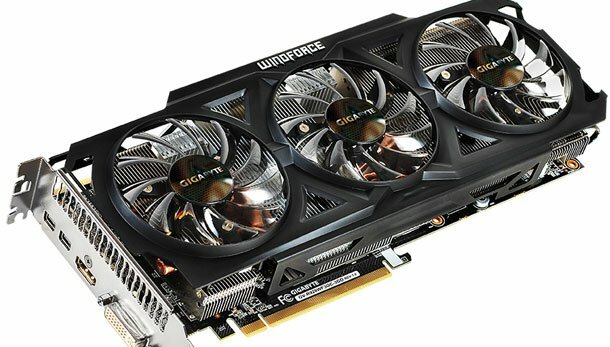 The ultimate performance indicator of any graphics card is its model number, which represents a combination of graphics processor (GPU), clock rates, and memory bandwidth. The format is brand name + model number, i.e. Radeon R9 290X, or GeForce GTX 780 Ti. The point is that a flashy factory-overclocked product with more RAM might look impressive, but you can bet it’s grossly outperformed by a plain-Jane specimen of the next higher model. Therefore, when game performance is the goal you should buy the highest-tier graphics card you can afford. That’s within reason of course. Even if your budget is unlimited you shouldn’t need to spend over $325 to get a really fast specimen, and investing more than that provides diminishing returns. Other components of your system can also be a limiting factor, see The platform: know your bottlenecks below . Figuring out the relationship between graphics card models and performance will require research because model numbers aren’t intuitive and don’t compare well across different generations or brands, but the knowledge really pays off. Selecting a graphics card because it has more memory is like choosing an exotic car based on the size of the gas tank. The unwarranted fixation on the amount of RAM is the biggest, most common mistake made by gamers looking to buy graphics hardware. Unless you’re running incredibly large resolutions (three monitors in surround or a 4K display), you don’t have to be concerned about the quantity of RAM. If you’re playing at 1920×1080 or higher you should be looking for a high-end model in the first place, and that will come with more memory by default. What you need to pay attention to is bandwidth. While bandwidth expectations will vary depending on a graphics card’s price and performance tier, always remember this: GDDR5 memory provides twice the bandwidth of DDR3 at the same clock rate. Since memory bandwidth is a significant performance bottleneck, choosing GDDR5 is a no-brainer. Just remember this: when it comes to graphics cards, 1 GB of GDDR5 is infinitely preferable to 4 GB of DDR3. The graphics card is the most important component in a gaming PC, but the rest of the system is a factor, too. It’s important to be aware of your platform’s limitations. Are you running an older dual-core CPU, like a Celeron, Pentium, Sempron, or Athlon X2? If so, it won’t keep up with the high-end graphics hardware, so don’t waste your money. Go for a mid-range card and save your hard earned dollars, or if you want the best game performance, upgrade to a modern processor that can handle four concurrent threads. Your display is also an important factor. An older 1280×1024 monitor does not require the most expensive graphics hardware. Conversely, if you plan to run three 1920×1080 monitors in surround, a midrange model won’t give you the framerates you want in modern 3D games. Know your goals, consider what types of games you expect to play, align them with the rest of the platform, and consider other upgrades if necessary. Both AMD and Nvidia offer a feature that links multiple graphics cards together to increase performance. This feature is called CrossFire on Radeon graphics cards and SLI on GeForce cards. It sounds like a great idea, but scaling performance by multiplying GPUs isn’t a smooth proposition. 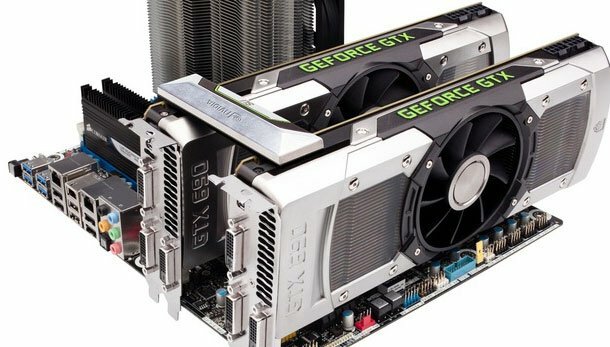 A second graphics card doesn’t increase performance by a factor of two; it’s more realistic to expect a 25-50% increase. That advantage diminishes even further with three- and four-GPU configurations. In addition, Multi-card setups can suffer from inconsistency, incompatibilities, and micro-stuttering. They also leech lots of power and can generate a lot of noise. Don’t get us wrong, when it comes to triple-monitor resolutions and 4k displays, multi-GPU setups are a necessity. On a single 1920×1080 monitor, though, it’s overkill. Avoid the whole mess with a single high-end card. It’s the ultimate buzz-kill: you excitedly open your case to install your new graphics card, and it’s a half-inch too long. Before putting money down, take a moment to measure how much physical space your case has to offer. Your power supply is just as important. How many six- and eight-pin PCIe power connectors does it have? How many watts is it rated for, and how many amps does it supply on the 12 volt rails? Cross-reference this info with the graphics card you want to buy. If your PC can’t handle it you’ll have to look for a card that will work with less juice, or consider a power upgrade. When shopping for a better power supply, keep in mind that a trusted brand name (like Corsair, Antec, and Seasonic) is far more important than the maximum wattage as advertised on the package. This is because less-reputable PSU manufacturers are known for listing the tenuous peak output rating, not the maximum sustainable power output. In general, if a power supply has a good brand name and sports compatible PCIe power connectors for the graphics card you’d like, it will be fine. If you want some headroom for future upgrades, find a power supply that can accommodate twice as many PCIe power cables than your graphics card needs. 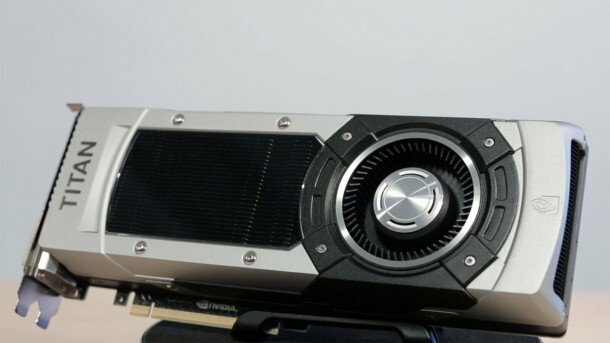 High-performance graphics cards tend to use a lot of power, and that creates heat that would fry the GPU without a cooler. Generally, there are two kinds of coolers: reference, and aftermarket. Reference coolers are usually found on low-cost specimens. These typically channel heated air out of the back of the case, which is good because it doesn’t increase the temperature of your PC. Unfortunately, reference coolers tend to be a little noisier. 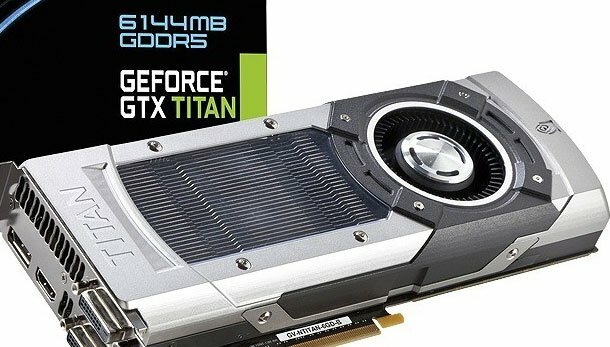 For a few dollars more, you’ll find graphics cards that have been outfitted with high-performance custom coolers. These are unique to each manufacturer, for example ASUS’ DirectCU, EVGA’s ACX, Gigbayte’s Windforce, HIS’ IceQ, MSI’s Twin Frozr, Sapphire’s Dual-X, and XFX’s Double-D. Custom coolers are usually much quieter and do a better job of keeping your GPU frosty compared to reference coolers. The downside is that these tend to recycle hot exhaust into the case, stressing the system’s ability to keep temperatures low. This is where your system’s ability to dump heat comes into play. If your CPU temperature rises above 55 degrees Celsius during gameplay you may want to choose a graphics card that exhausts hot air out the back, even if it’s a little noisier. If your CPU stays below that temperature, a quiet custom cooler is easier on the ears and the improved heat dissipation may even extend the life of your GPU. 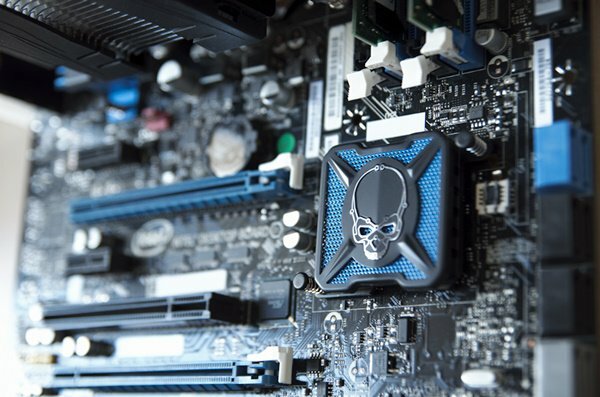 If the thermal levels are too high, aftermarket air and liquid cooling solutions are available for the graphics card, CPU, and case, but this can add significant expense and increased complexity to the installation. These are generalizations but the important thing is to keep cooling in mind.